DAV Centenary Public School, Paschim Enclave organized a grand event, Funderland- ‘The Pyjama Party’, from 12-18 March, 2019 held in the school lawn for the students of Pre School - IV. 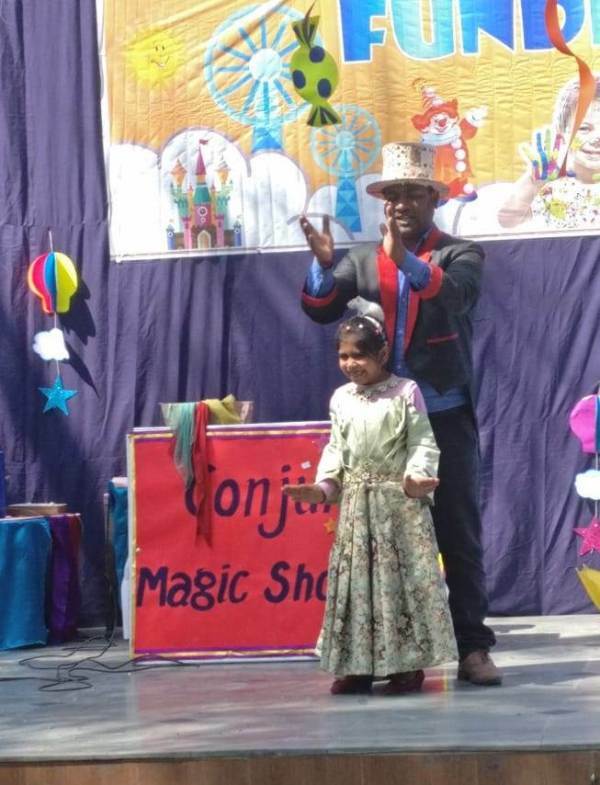 The wonderful fun-filled activities like the Puppet Show, Magic Show, Tug-of-War, Musical Chair etc. enthralled the students with exuberant pleasure. While the boys got themselves inked with cool tattoosandaccentuated their appearance with the glowing Devil Horns, the girls revelled inputting fragrant Henna on their hands and rejoiced getting their hair beaded with shimmery beads and ribbons. The students enjoyed dancing on foot tapping numbers and relished eating delicious delicacies including the creamy cake. The Dancing Dudes and Divasand the Best Dressed Students too were awarded small tokens of appreciation by the Supervisory Head of the school, Ms. Usha Gupta. All in all it was a memorable experience to be fondly remembered for days to come.